"The incarnation of nasal harassment." CONT [Rearguard Circle]: All of your opponent's units on the same column as this unit cannot intercept. Image 7: "Unite!! 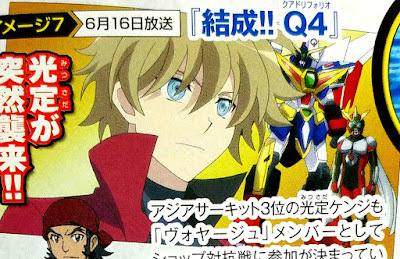 Team Q4"
Mitsusada Kenji, 3rd place in the Asia Circuit and a member of "Voyage," has decided to participate in a shop showdown. On this day, Mitsusada suddenly arrives in Card Capital. Features Mitsusada Kenji versus Miwa Taishi, Dimension Police versus Nova Grappler. Image 8: "Uproar!! Q4 vs NwO"
A shop showdown with Team Q4 representing Card Capital and Team NwO representing Voyage begins! 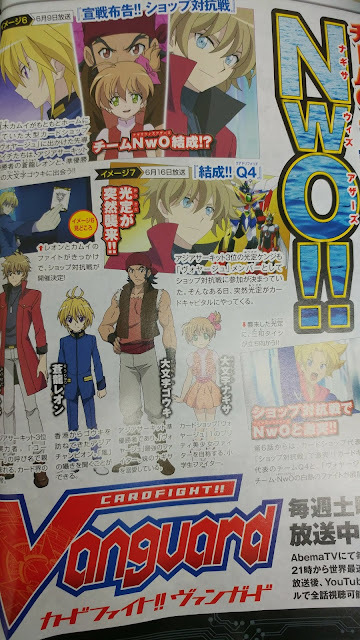 Gоuki and Nagisa, the former sibling team, stand up to face Team Q4! 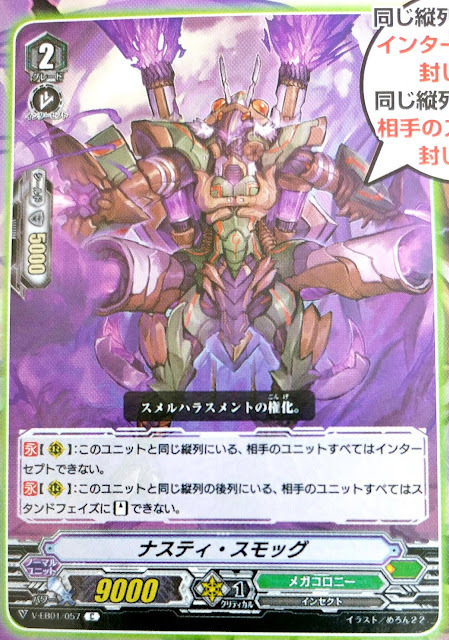 Features Daimonji Gouki versus Tokura Misaki, Granblue against Oracle Think Tank. The third round of the shop showdown is the aloof fighter Kai Toshiki against the emperor of the TCG world Mitsusada Kenji. A burning hot fight unfolds between these two incredibly skilled fighters, tearing each other to pieces!! Features Mitsusada Kenji versus Kai Toshiki, Dimension Police against Kagerо̄. 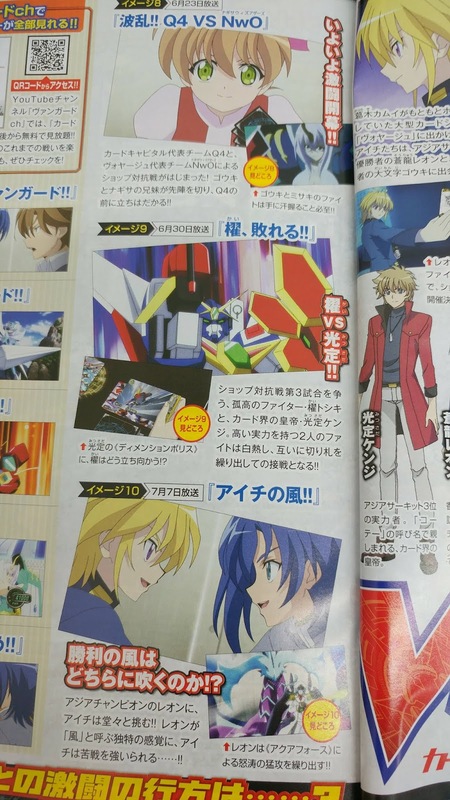 The Asia Champion Leon proudly challenges Aichi!! Leon feels something he calls 'the wind,' and Aichi is forced to struggle with all his strength...!! 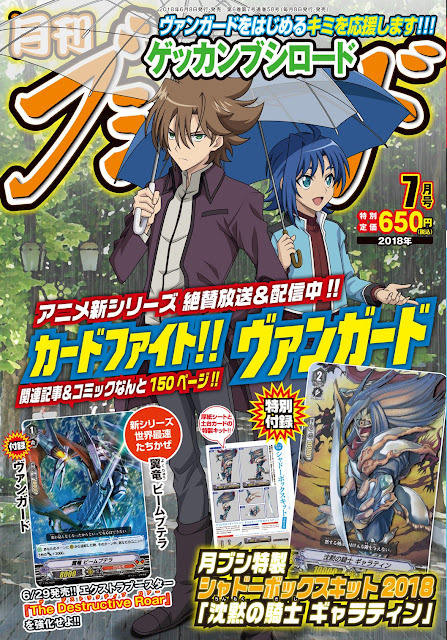 Features Sendо̄ Aichi versus Sо̄ryū Leon, Royal Paladin against Aqua Force. 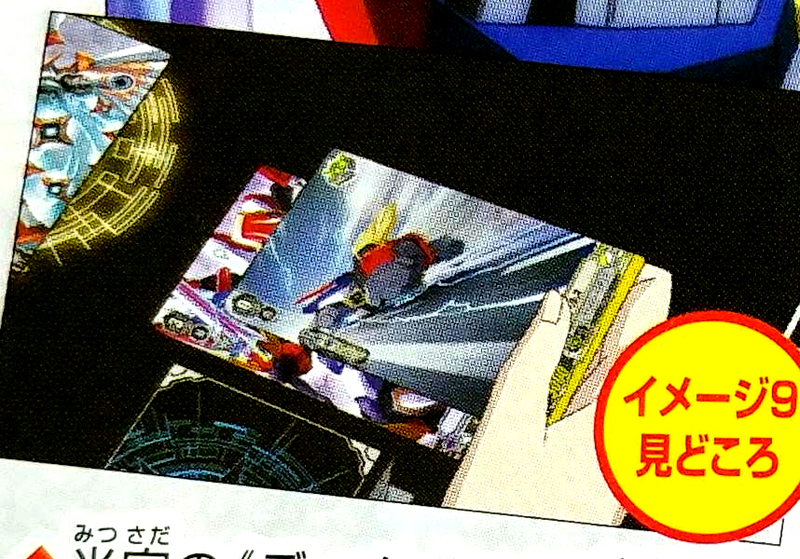 "Dimensional Robo, Daibattles," "Super Dimensional Robo, Daiyusha," and an unknown third card. "Masked Police, Grander" can be seen at the right.